A year ago if you had said “Maptime” to me, I would have thought you were mad. I have now been to three “Maptime” events, and I want to share my experience, as you may be sitting there perplexed as to what you would gain from it. Maptime is increasing in popularity. Before Christmas  this Maptime in Southampton was the first in the UK; already it is now fully booked out on a monthly basis. In the UK there are talks of several new chapters, and across America there are a whopping 20+ chapters. What is more important is that it is being led and funded by many of the leading open-source software advocates. The way it works is that the group organiser (in this case my nearest group is Southampton so the organiser is Charley Glynn), sends out an invite on Twitter or Google+ (or by word of mouth at all the events he goes to), and then one person will offer to show something they know about, have learned, or are learning. Don’t worry if there is not a group nearby you; it is VERY simple to set up, and Maptime “central” will help you. All you need is a venue and some eager GISers (venue funding is often provided by the talker or as a group whereby each person contributes a small amount). One key thing is that the talks or lessons all center around open source. Subjects so far have been Mapbox, QGIS (and plugins), and Leaflet, and a past few events have had a nice mix of 50% hands-on learning and 50% chat, play, and questions at the end. What makes this work so well is that it doesn’t matter if you are not a super-experienced user, as you can help those who don’t understand or struggle, and you find out how to make your stuff simpler. If you are a completely new user, you have some great people around you to help. And if someone doesn’t know? Because it is such a relaxed environment, everyone can chip in and give it a go with you. I’ve gone along and helped with questions on QGIS but then also gotten that one-to-one advice that you just don’t get from a book or a course on using QGIS2Leaf. It is really good to hear other users’ experiences of the software(s) and see the range of capabilities. At the last event I was at was a lady on my right who was doing her degree in GIS but was completely new to QGIS; on the other side was an aviation specialist who had created a “plane GPS” but was looking for more information on applying and sourcing data; and then across from me was someone who had never used any GIS but was interested in learning for a family tree idea. It was great to hear how they were using GIS and learning some of the little tricks that they had picked up. This is where the true gold of Maptime lies: no one is ever going to put online about the line of Python they found which renders ArcGIS basemaps on your QGIS, or about the plugin which allows for different GUIs, or even how to build an entire website and maps for free on open source. Of course not—it would take too long and be quite tricky to do from instructions. Being there, talking with the experts and users with your laptop fired up ready to go: there is some real gold to be found. You know the scary thing about it all? I’ve learned more at these few free Maptime events than I have from any of the £500+ I’ve spent on trying to learn open source. Think about it. 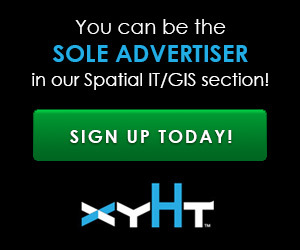 For more on Maptime, see the article in xyHt’s April print issue.